3514 Prince George Dr. - Spacious Home in Desirable Dalraida! Step right in to find a large family room with fireplace, hardwood floors and built-ins to store your books. Just off the family room is the dining room where you can wine and dine family during the holidays. The galley style kitchen features updated granite counter tops, new cabinets and separate breakfast area. All your bedroom furniture will fit perfectly in the spacious bedrooms. Covered patio off den in the fenced yard where you can sit enjoy the kids playing. Call us or your favorite agent to view today. Marketed by Montgomery AL Realtor Frank Powell, Sandra Nickel Hat Team! Investor special...roll up your sleeves and get ready to put some elbow grease into this rehab project. Your results will be pleasing! Great layout, spacious lot with mature trees, on a quiet street. Hardwood floors throughout most of house just need refinishing. Marketed by Montgomery AL Realtor Billy Young, Sandra Nickel Hat Team! Looking for lock-it and leave-it and low maintenance living? Rarely does a single story unit in Hazel Hedge come on the market, much less one with an ATTACHED 2 car carport! This home has a spacious layout, boasting a LARGE living and dining room combo, kitchen, and cozy den with fireplace and built-ins. The two bedrooms are on opposite ends on unit, affording privacy for its residents. Covered breezeway takes you comfortably from your den, through the beautiful private courtyard, to your two car covered parking. HOA dues of just $50 per month cover grounds maintenance, so you never have to push a mower or run a weed-eater again. Conveniently located in Old Cloverdale neighborhood of Midtown Montgomery, just seconds from the dining and entertainment district, parks, and theater. 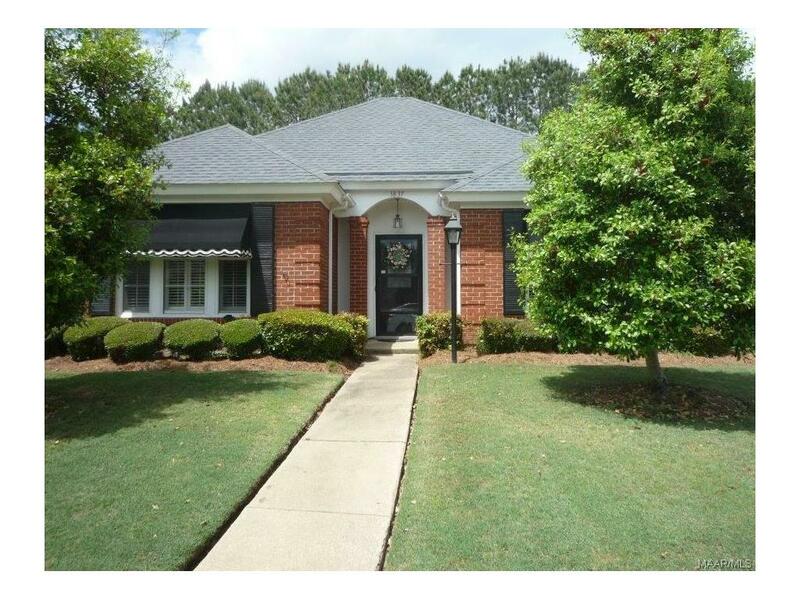 Marketed by Montgomery AL Realtor Billy Young, Sandra Nickel Hat Team. Under $120K! 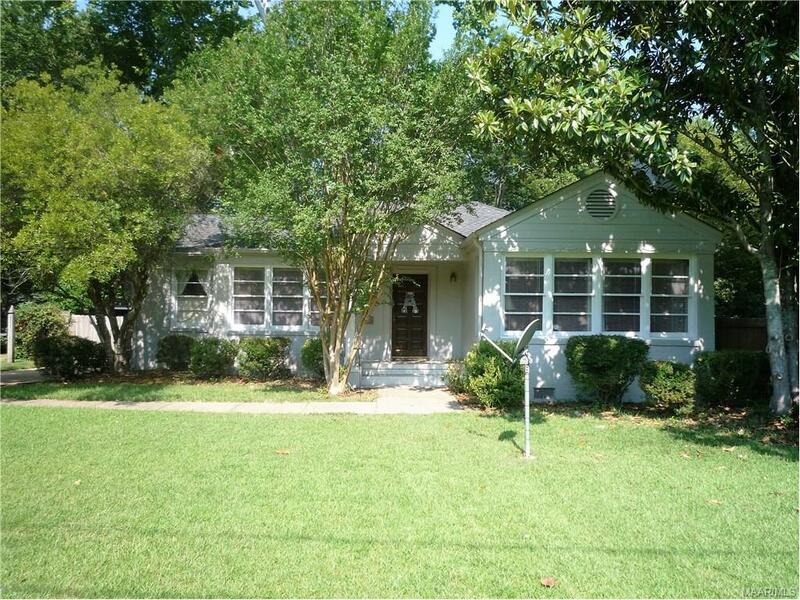 Charming 2 bedroom, 2 bath home in a wonderful area in Midtown Montgomery near Cloverdale. Hardwood floors. Cute as can be kitchen with Mexican tile. The real deal is the master bedroom and closet (HUGE). French doors opening to a very multi-level deck across the back of the house. You must see the backyard! Garage and workshop. Marketed by Montgomery AL Realtor Frank Powell, Sandra Nickel Hat Team. Need a lot of space on a budget near Cloverdale!! This could be your chance to own a three bedroom, two bath home with a two car attached garage for less than $129,000. This home is located in the popular South Hull District in Midtown Montgomery and has an active neighborhood association. There are many period details including hardwood floors and built-in cabinets. The backyard is fenced and has old brick patio and walkways… it could be a showplace. Make this one the 1st on your list to see. Seller needs a little notice as she home schools children. 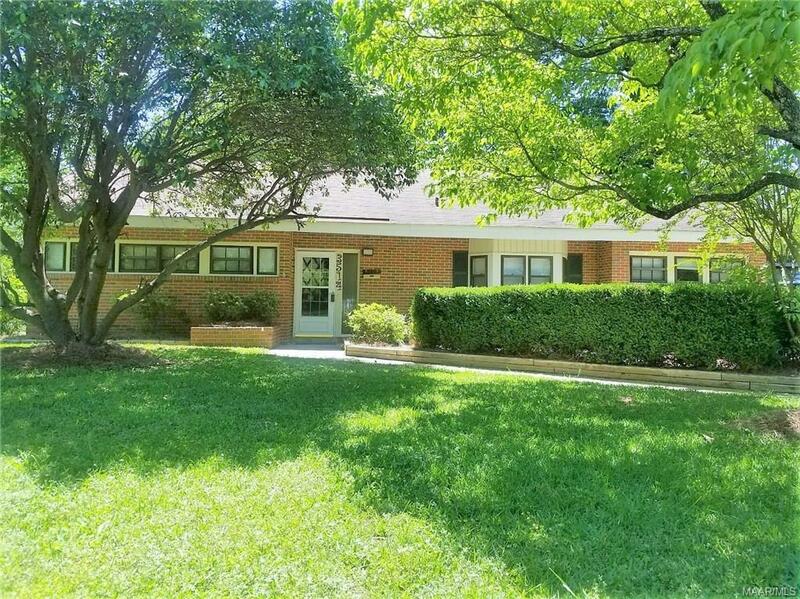 Lovely Edgewood home on a beautiful lot situated on the east side of Bankhead Ave. Classic traditional ranch boasts a modern updated kitchen with granite counter-tops, beautiful hard wood floors, spacious bedrooms and plenty of closet space. Last, but not least, an unexpected fabulous Florida Room with huge stone fireplace and great space for entertaining friends or relaxing with the family. Great deck overlooking a large, pretty backyard with lush landscaping. Detached garage great for storage or a workshop. 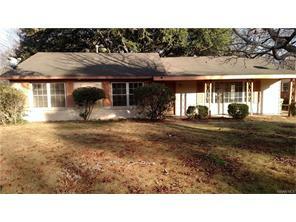 Check this wonderful home in Midtown Montgomery out today! Marketed by Montgomery AL Realtor Lauren Layfield, Sandra Nickel Hat Team! 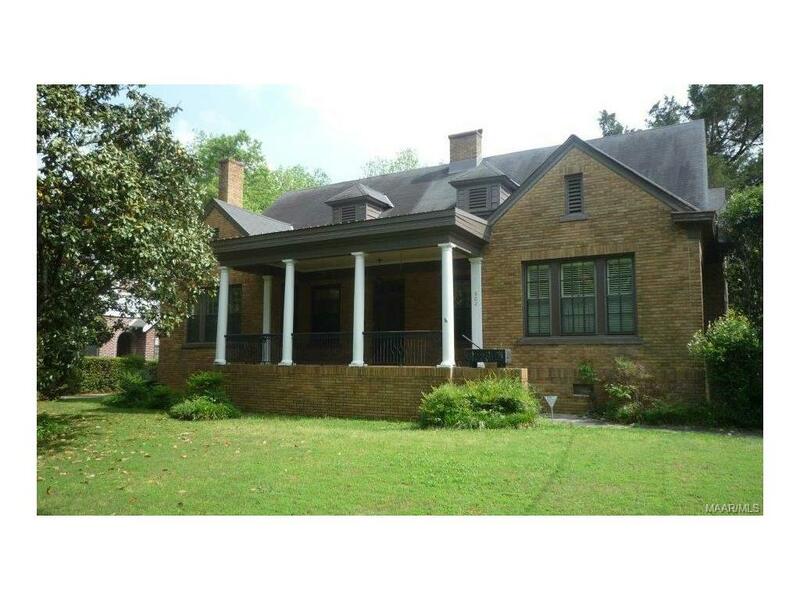 Stately Cloverdale in Midtown Montgomery home oozing charm and character. If you consider yourself an old house fan, and love vintage architecture, then this is the home for you. Large rooms with high ceilings grace the living areas, and 3 spacious bedrooms give more than adequate place for rest. Industrious buyers will love the staircase to unfinished attic space just waiting to be finished out into even more living space (or that PERFECT master suite.) Great views from the wide covered front porch, and bright Florida room on the back make perfect areas to relax and unwind. Detached garage with additional workshop/storage space as well as great unfinished basement area are an added bonus. 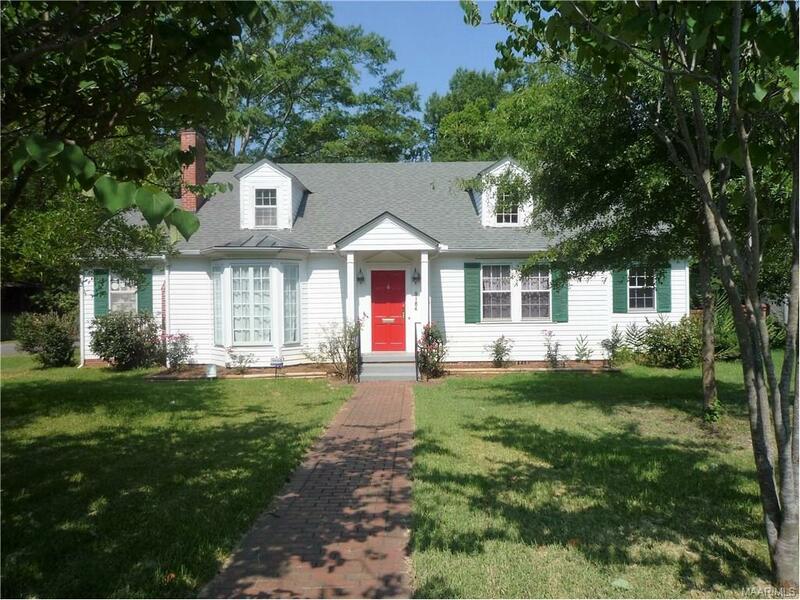 Edgewood cottage tucked away on a quiet street in Midtown Montgomery! This spacious 3 bedroom, 2 bath has an open floor plan. The updated kitchen with large eat-in area/gathering room opens to the bright sun room. 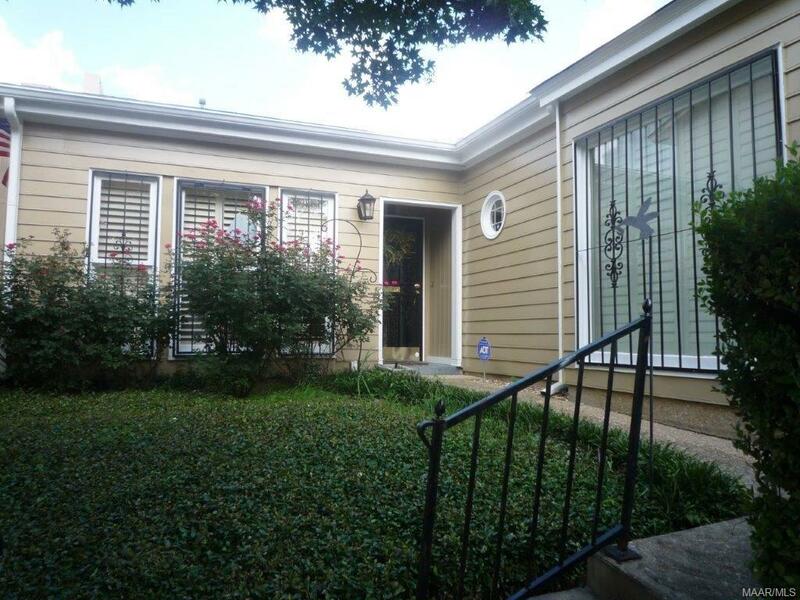 There are beautiful hard wood floors and brand new windows throughout that actually open and have screens! The attached carport also makes a lovely covered patio. The detached storage building is weather proof. Just walking distance to restaurants and entertainment. Marketed by Montgomery AL Realtor Lauren Layfield, Sandra Nickel Hat Team. If you have been looking for THE premier garden home in The Timbers, this home is for you! One owner custom built by Loeb and Hannan, this home is absolutely immaculate. High ceilings and tons of natural light give this home a "WOW" feature the minute you step in the front door. With many upgrades and move-in ready condition, this property only needs a new owner and his/her belongings. AND, if you fall in love with the way it is furnished, sellers are willing to negotiate the sale of most everything in the house! (talk about move-in ready!!) Wonderful screened porch overlooks lushly landscaped private courtyard style yard, and parking is covered for your convenience. Speaking of convenience, this home is located just minutes from shopping, dining, and banks. Put this one FIRST on your list and make an appointment with your favorite agent to view it! 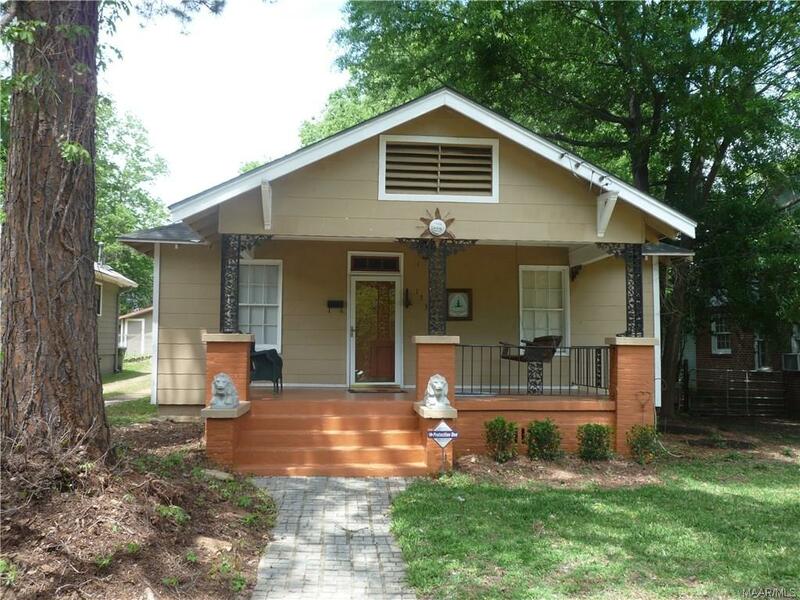 Check out this charming Capitol Heights bungalow complete with the lions on the front porch! From the wonderful hard wood floors and wide central hallway to beautiful crown molding and antique door knobs and locks that work, this home is full of character. And for the updates: the HVAC is new and heavy insulation has been blown in the attic and a Swarovski Crystal chandelier in the dining room.